5 day tours of Ireland are a great way to get out of the city and get under the skin of the Irish countryside where you have less than a week to play with. 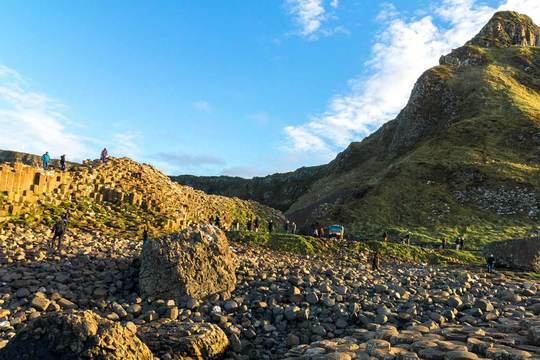 The five day itinerary offered here will particularly suit those who are interested in touring Northern Ireland and the West of Ireland with overnights in Galway, Derry / Londonderry & Belfast. You could also spend five days on tour outside of Dublin by mixing & matching 2 day tours of Ireland & 3 day tours of Ireland or perhaps consider some of the day tours from Dublin. Alternatively, Private 5 Day Tours are available to start on any date of your choosing. Please see our private tours range for details.